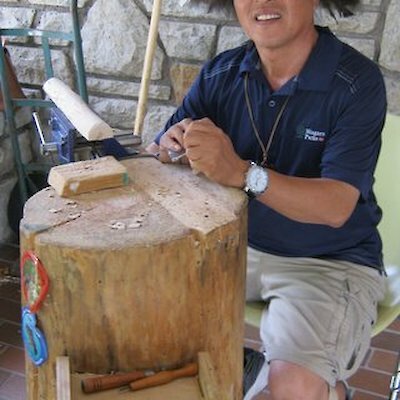 I went walking this past weekend at the Niagara Glen about five kilometres north of the falls along the Niagara Parkway and happened to stumble upon Frank Siscao outside the Niagara Centre Nature Store carving a miniature Totem Pole. Frank told me he’s been carving these small totem poles (it takes about 3 hours to carve one) and lots of other carving like giant turtles out of Iron Wood(Canada’s hardest wood) for the past nine years. 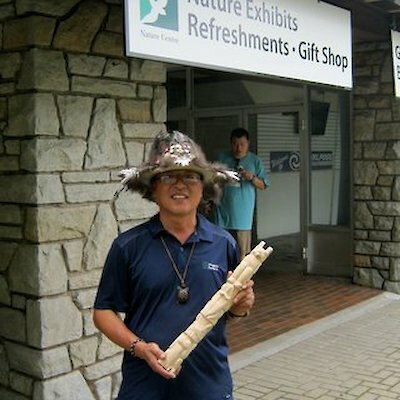 If you want to see examples of Frank’s work look inside the Nature Centre. His work just blew me away. The store is only open for the next two weekends from 9 am until 5pm. 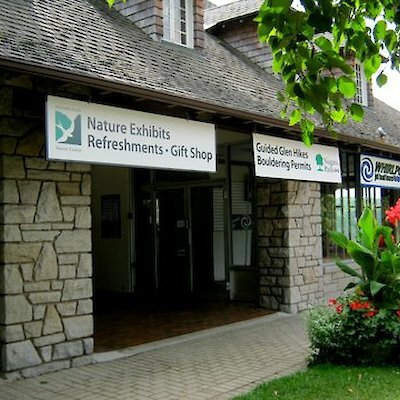 If you happen to be there on Saturday, September 6th there is a free nature walk of the Niagara Glen starting at 11 am. These tours normally cost $7.55 per person. I plan to get a group together and take the hike. Maybe we’ll see you there.